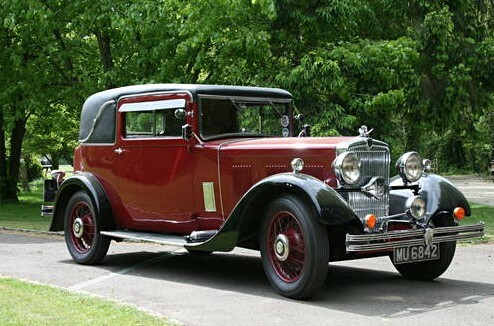 The first generation of the Morris Isis was produced between 1929 and 1935 and was the only pre-war iteration of the model. The Isis received a facelift for 1932 to resemble the model offered here. It’s one of the more attractive Morris’ I’ve ever seen. The Isis was the six-cylinder Morris with a 2.5 liter engine making 17.7 horsepower – enough to propel the car to 65 mph. It has a steel body over an ash frame – very British. 3,467 facelifted Isis models were made, including the deluxe Twenty-Five version with the larger 3.5 liter engine. The car offered here shows very well with it’s attractive red coachwork. Mechanicals were “freshened” in 2006 and the interior is quite nice as well. Bonhams estimates this car between $15,000-$24,000, which sounds quite reasonable for something that looks this nice. For more on this car, click here and for more on Bonhams in Oxford, click here. This entry was posted in Uncategorized and tagged 1933, auction, Bonhams, car, classic, classic car, coupe, isis, morris by classiccarweekly. Bookmark the permalink.